Major European exchanges headed lower on June 18, with investors scratching their heads about the outcome of the migration row in Germany and trade tensions between the United States and China. 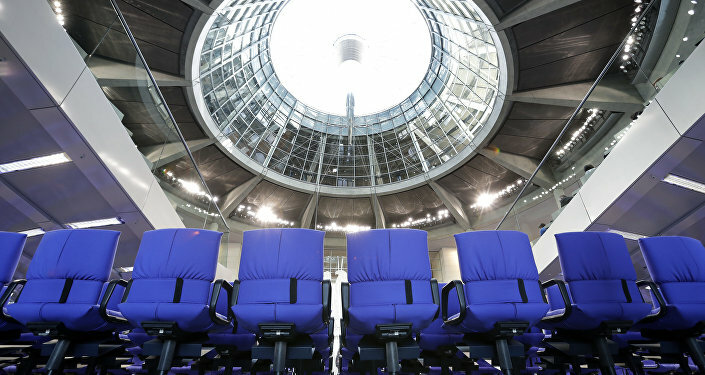 As of 16:00 CET, Germany's DAX index fell by 0.6 percent to 12,936.24. France's CAC 40 went down by 1.12 percent to 5,476.42, while the UK's FTSE 100 inched up by 0.1 percent to reach 7,639.35. These days, investors are worried about the migration row in Germany's government. Earlier in the day, Germany's Interior Minister Horst Seehofer and Chancellor Angela Merkel had agreed to postpone a showdown on migration policy for two weeks. Seehofer agreed to put in place his "migration master plan" step by step, giving Merkel time to strike a deal at the European level. The minister has proposed a new plan for Germany's migration and asylum policy. The German chancellor and the ruling Christian Democratic Union (CDU) have reportedly disagreed with one point in the draft, namely a suggestion to turn back migrants registered in other European countries at Germany's borders. European stocks have been facing some extra pressure following escalations of the US-China trade war, too. On June 15, the White House slapped tariffs on Chinese goods valued at $50 billion. The move has prompted a swift response from China, which has targeted $50 billion worth of US exports, including beef, poultry, tobacco and cars.